As far as fitness for office goes, I want to make clear that I, personally, never have been and never will be fit to serve in the office of the Presidency. I’m as erratic as Tweety, without the work ethic. Damn few people are temperamentally suited to the Presidency. Pence sure looks like one to me. He’d be a uniter, not a divider. I think the country needs that right now. The only man I’ve known personally who would have been suitable for the Presidency was Jay Hammond, the 4th Governor of Alaska, and by far its greatest. And I really didn’t know Jay Hammond. Very few people did, because he was an intensely private man. I got to know him a little during the ’78 campaign, but he was a little stand-offish. And his beautiful Eskimo wife, Bella, seemed to actively dislike me. I wasn’t used to that, and I was a little mystified. After he won the primary I was no longer involved with the campaign, and I understood why. It was a cake walk, for one thing. The Democrat, a good guy named Chancy Croft, never had a chance. They didn’t need me. And aside from McConkey and Clarke, Hammond’s people didn’t trust me, and quite a few of them really disliked me. 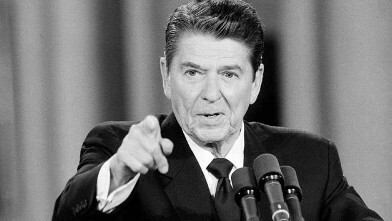 I was a Reagan Republican, and half of those closest to him were Democrats. They thought I was just a political opportunist, and they were right. So I never saw Hammond after the campaign. He did appoint me to the parole board, because he knew I wanted to run for office myself, and I needed something on my resume. I was disappointed. I wanted a bigger plum. For what I’d done, I deserved a lot more. That came, as a surprise to me, in the 1982 Hammond legislative reapportionment. In Alaska, the Governor alone reapportions the legislature every ten years. After the 1980 census it was Hammond’s turn, and it was a very pro-Republican map. I’m almost sure Hammond’s new Director of Communications, Bob Clarke, (who was also Hammond’s close friend, body man, and the editor of his autobiography, Tales of Alaska’s Bush Rat Governor) was heavily involved in that reapportionment. Anchorage’s eight state senate districts were strangely divided into four two seat districts, with each district electing two state senators, one for a regular four year term, the other for a shortened two year term. It just so happened that in the conservative senate district where I lived, there were no incumbent Senators, and only one serving House member. I immediately filed for the two year seat, knowing that Republican Representative “Disco” Ray Metcalfe would take the four year seat. No other Republican filed against me, and I ran unopposed in the primary. Thank you, Governor Jay Hammond.. I only saw him one more time before he died. This was during the Lewinsky scandal, and I was on the air from four to six (Fritz ’til Six) every weekday, on the only talk radio station in Anchorage, KENI 550. Actually, I was the only conservative radio host in the state, and KENI’s signal was clear to over 60% of Alaska’s voting population. I was maintaining my political viability. I’d left the legislature, but I still wanted to run for the U. S. Senate, and political talent in Alaska is pretty thin. If there was an opening, I had as good a shot as anybody. I also had a little “law office” in the cheapest place I could find in Anchorage, on International Airport Road, on the second floor in a rundown old office building. I had a desk, a chair, and a couch, and that was about it. And a telephone. I was surprised one day by a call from Jay Hammond, who was now spending winters in Anchorage with his daughters. He said he wanted to come by and see me, so I gave him directions and he comes walking up the back stairs. He’s looking good, in his trademark beret. He said he wanted to tell me a story from his first year as Governor, 1975. He went to a National Governor’s Association meeting, where he didn’t know anybody. So when he saw a prayer breakfast on the program, he went. There were two other Governors there, Jimmy Carter and Bill Clinton. He said he was really impressed with Clinton’s Christian faith. He had these bright blue eyes that lit up with faith in the Lord. At that point I was doubled over in laughter, and we talked just a little bit more before he left. I think he wanted me to know that he liked and respected me. That meant a lot. The finest man I ever knew, and I just barely knew him at all.